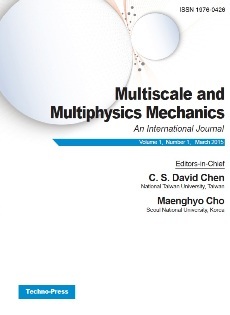 The aim of Multi-Scale and Multi-Physics Mechanics is to provide a platform for publication of research results in which multi-scale and multi-physics mechanics play a vital role. This journal publishes articles with contributions in all aspects of multi-scale and multi-physics problems. The problems of multi-scale mechanics include structural, mechanical or material systems with varying length or time scales. The problems of multi-physics mechanics involve multiple physical models or multiple physical phenomena..
Mater. Sci. and Photo-Electronics Lab. City University of Hong Kong, H.K.